Science never stops for NASA but while space observation and research continues regardless of the season or special occasions, the space agency still likes to celebrate holidays in its own unique way. Last week, NASA took the fast-approaching holiday as an opportunity to show off a very special snapshot captured by the Hubble Space Telescope. 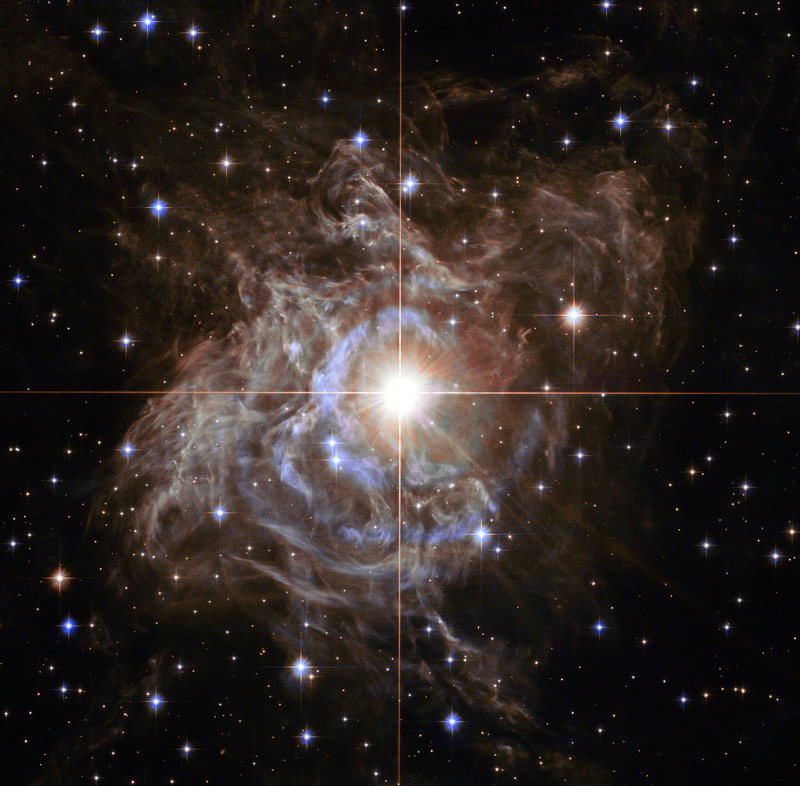 The image provides a view of a distant star known as RS Puppis in all its glittery glory. The star and the massive cloud of dust that accompanies it, forms what NASA suggests is a “holiday wreath” of sorts, but this is a photo that even Scrooge could appreciate. The star actually pulses with light over the course of several weeks, NASA says, but its average brightness is a whopping 15,000 times that of our own Sun. The massive burning ball is 200 times larger than our star and ten times as massive. It’s classified as a Cepheid variable star, meaning that its luminosity changes regularly. Thanks to the star’s unique light properties and the wealth of debris that surrounds it, NASA has been able to estimate its distant from the Earth with high accuracy. RS Puppis is thought to be 6,500 light-years away, and NASA is confident in that estimate to within a margin of just one percent. The photo is a great reminder that Hubble is still doing some seriously stunning stuff even as it rapidly approaches three full decades in space. It’s the ultimate workhorse for astronomers, and its advancing age doesn’t seem to be hampering its ability to make us all stare in wonder.